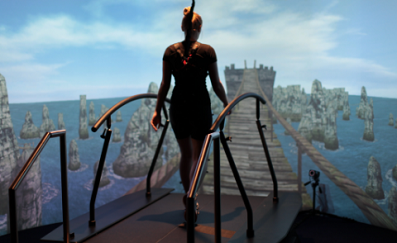 There will be a free symposium about how Motek‘s GRAIL (Gait Realtime Analysis Interactive Lab) is used for rehabilitation and clinical gait analysis on the 13th of February. This symposium, called “Rehabilitation On The GRAIL”, will be hosted at the Rehabilitation Centre Klimmendaal, Arnhem, in the Netherlands. The innovative GRAIL is used for diagnostics, treatment and research in six rehabilitation centres in the Netherlands. These rehabilitation centres work together closely, which means that rehabilitation using the GRAIL has been rapidly implemented. During the symposium, all members of the six GRAIL centres will talk about the current applications and possibilities for using this technology in rehabilitation. This symposium is suitable for rehabilitation specialists, physiotherapists, and researchers, who work directly and indirectly with the GRAIL or would like to learn more about its capabilities. We would like to invite you to register here: http://bit.ly/GRAILSymposium. You can read more about the GRAIL here.